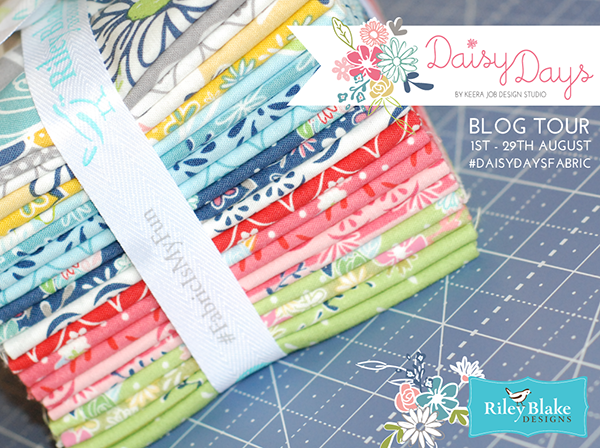 Today I'm delighted to kick off the promotional blog tour for my lovely friend and fellow Riley Blake designer Keera Job's first fabric collection, 'Daisy Days'! 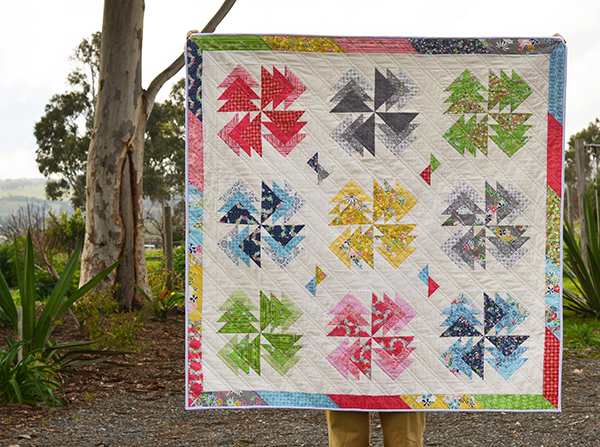 Keera has kicked the ball out of the park with this pretty and cheerful floral line, which just happened to be perfect for my new quilt pattern, 'Desert Windmills'. This collection has shades of prints across the whole spectrum of the rainbow. Blue features rarely in my sewing - but after working with Daisy Days I've decided that's something I'm going to have to fix going forward! Loving the blues and navies in this line. 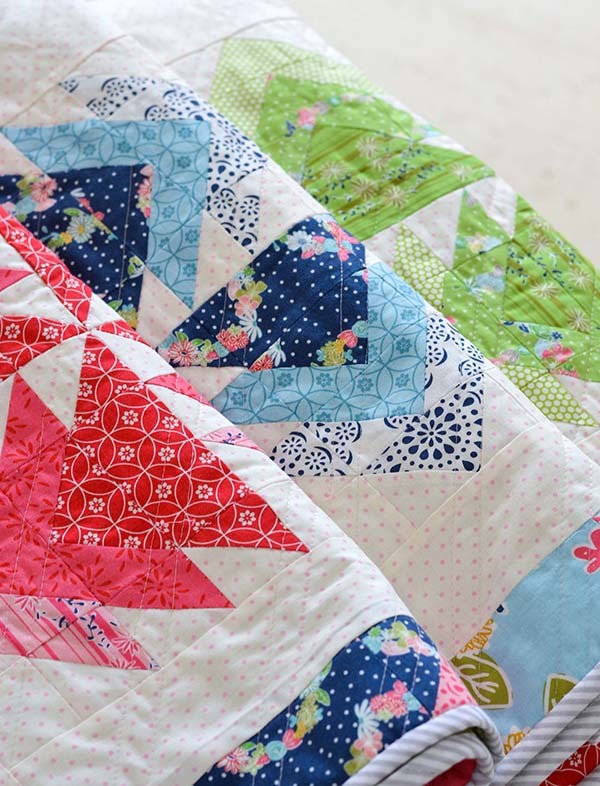 My new quilt pattern is based on a cushion I made ages ago for another blog tour - the pattern for which is also available in my shop. Ever since then I wanted to make a large rainbow quilt based on the same design, in ombré shades. 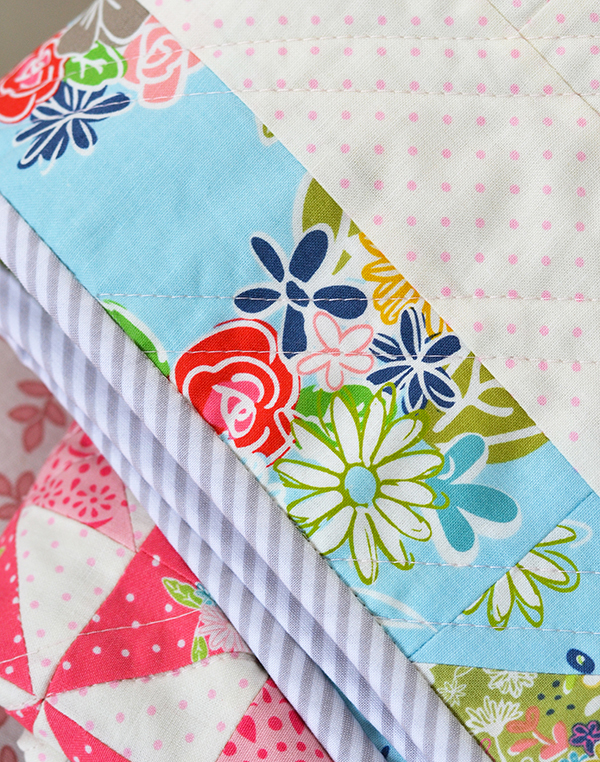 The pattern contains 12 blocks - alas I didn't have quite enough Daisy Days fabric to make the full size quilt so mine is 3 x 3 instead of 3 x 4. I also used a few extra blenders to accentuate the ombré effect. 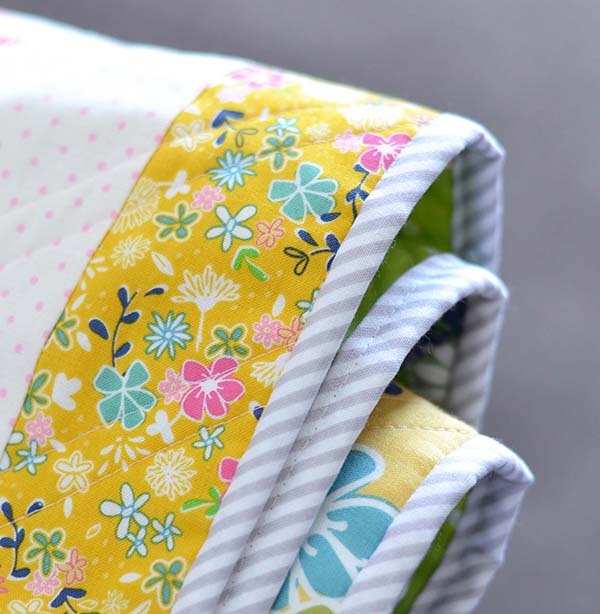 The grey bias stripe binding and green dot backing are from my 'Sweet Orchard' collection for Riley Blake - perfect colour matches with 'Daisy Days'! 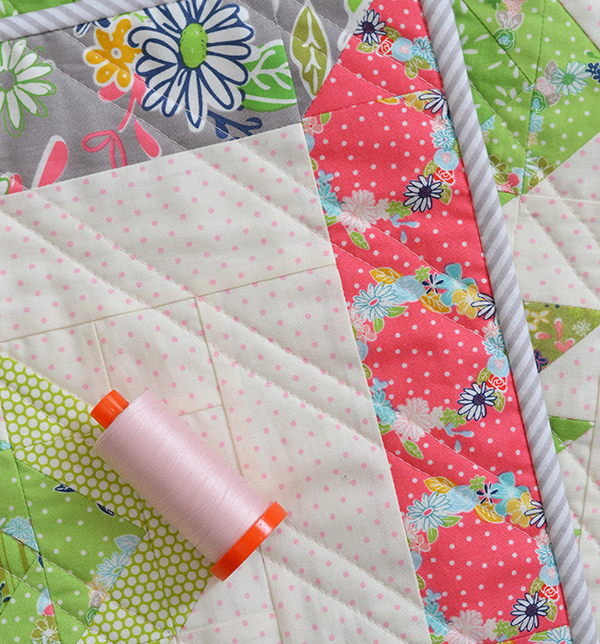 I straight machine quilted this quilt myself using my favourite Aurifil 50 wt thread in 2410 Pale Pink. This is my go-to thread colour now instead of white, as I like the subtle femininity it adds to projects and it works well with natural linen also. 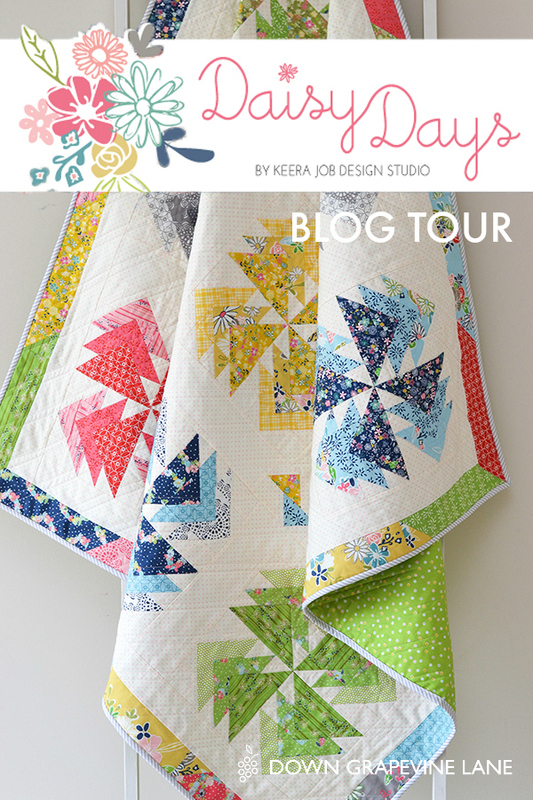 I hope you liked my project for the Daisy Days' blog tour! 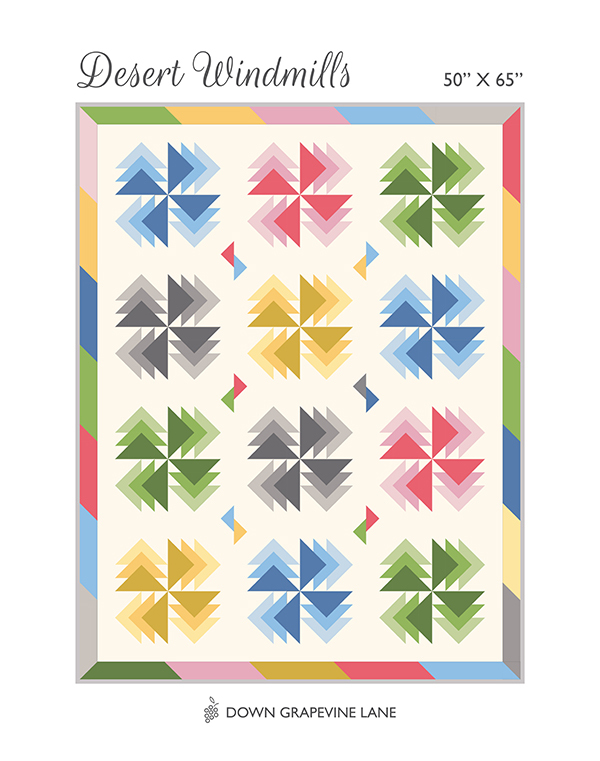 To celebrate the launch of this collection, I am offering my 'Desert Windmills' digital pattern in my shop for this week only at an introductory price (25% off). You can download it here. 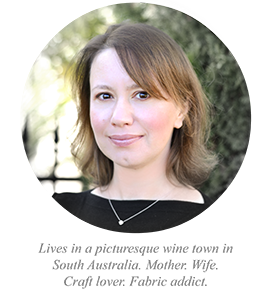 Paper patterns are also available for wholesale ordering through Creative Abundance (Australia) and Checker Distributors (US). Here is the full schedule for the Daisy Days blog tour over the coming weeks. 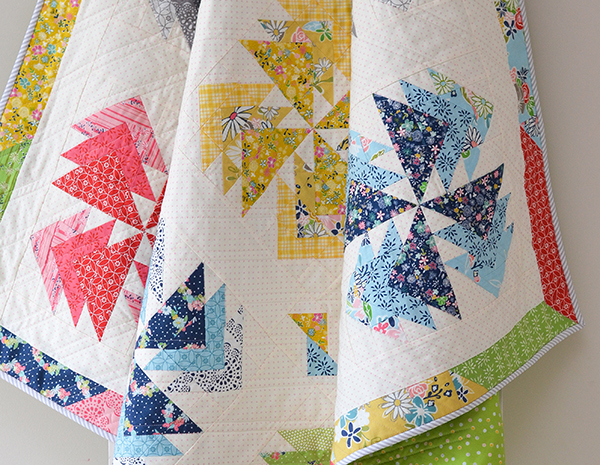 Lots more Daisy Days inspiration to come from some wonderfully talented designers! 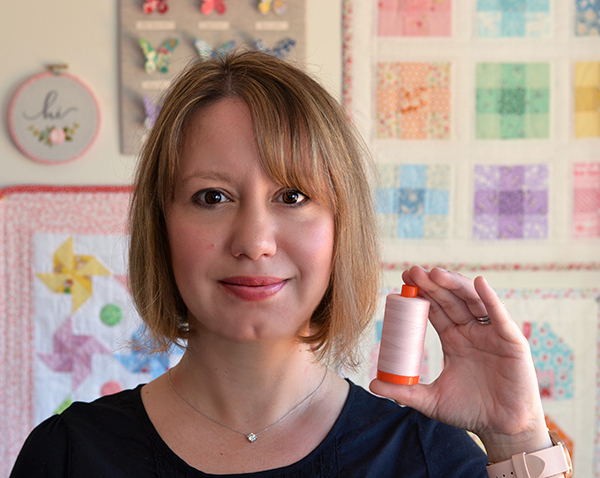 The fabric and pattern are well paired! Both ar beautiful ! 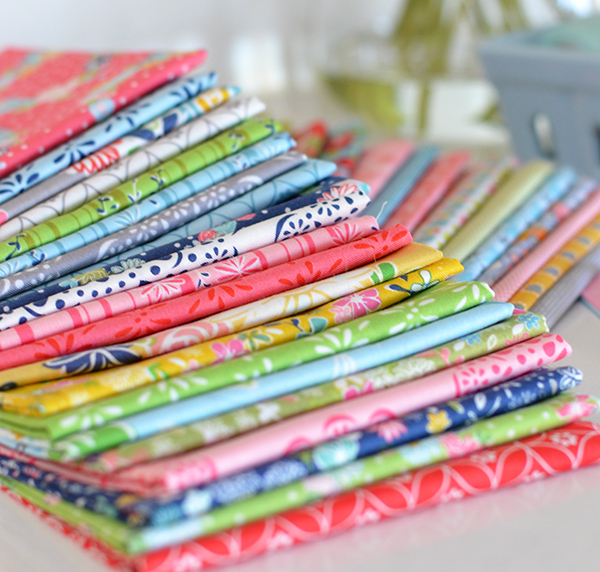 Such a pretty collection, and perfect for your quilt pattern!! 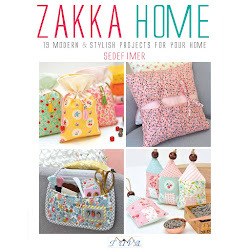 This is a beautiful quilt, Sedef. I love it. The photo of YOU is beautiful, just like your quilt. It would be great if this was offered as a kit! I'd buy it! !